Hello, all! What a busy last week I’ve had. I hope all of you had a great 4th and are having warmer weather than IL right now. Not feeling so summery, although I’m fine without the humidity! I just thought I’d update my skincare routine since I haven’t done so in about a year! 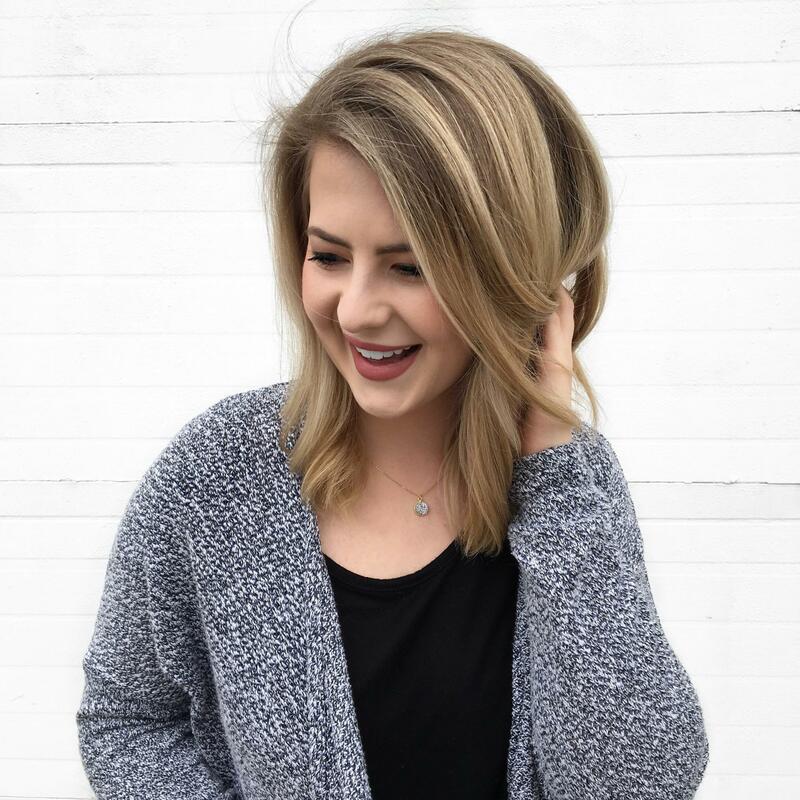 You can see my last one here (Still like a lot of those products, I just like to change it up a bit!). I did not include my masks in this post, maybe I’ll do that a little later! 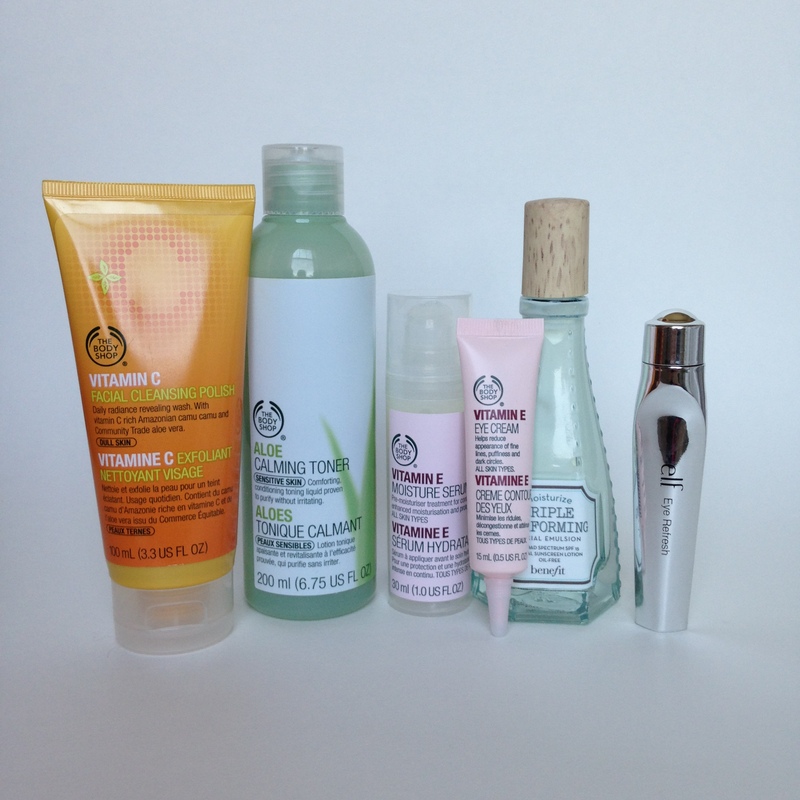 I have really fallen in love with The Body Shop for skincare, something I hadn’t tried until this past winter. I’m also liking this moisturizer from Benefit and the elf Eye Refresh is just very nice and cooling in the morning. If I’m wearing a really thick layer of makeup, I like to go in with a wipe first. At first, I didn’t understand this Cleansing Lotion but found it works best when massaged into the skin for a minute or two and then a wash cloth to get all of the residue off. 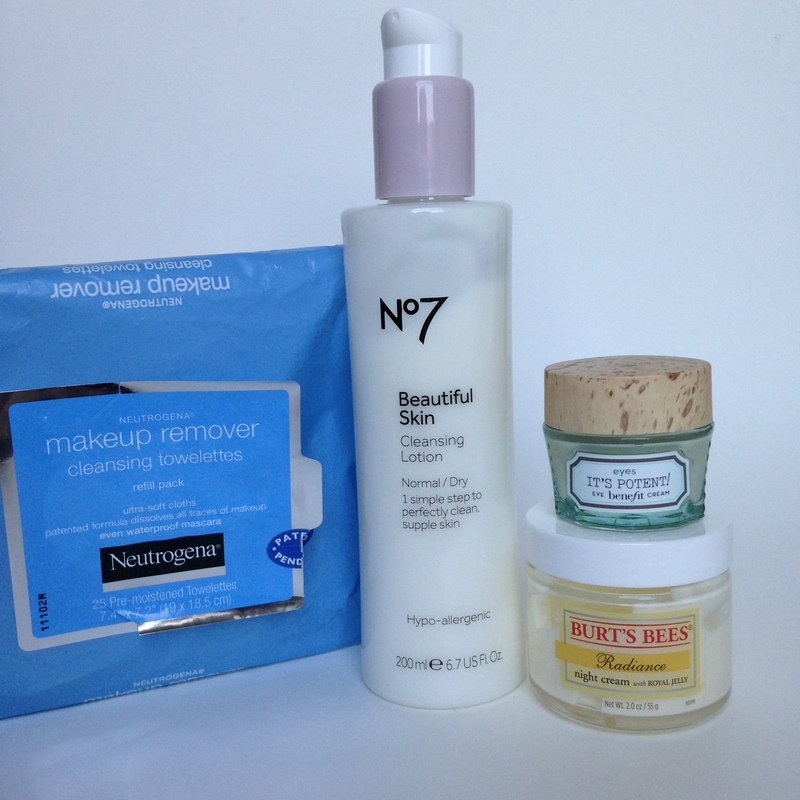 I like to use really hydrating products at night to help restore my skin. These are the products I go in with when I’m extra dry/oily. I think the most important thing with a skincare routine is that you really need to just listen to your skin. If your extra oily, maybe skip the thicker moisturizer and go for something thinner. Just sort of balance things out so you can fall into a groove. Now, I need your help! 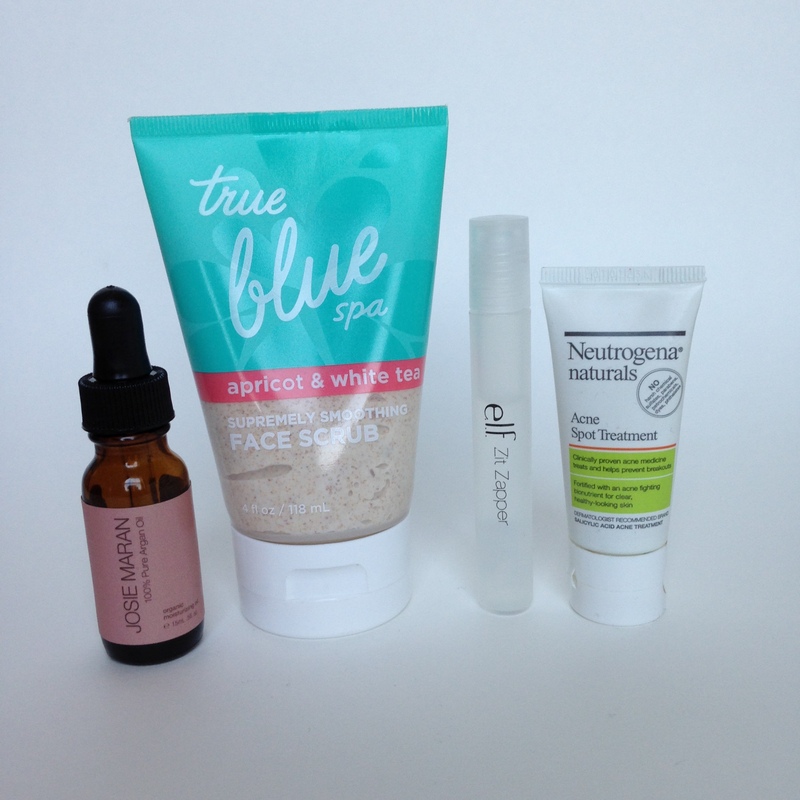 These “acne” products I’ve been using aren’t doing the trick. I’ve had some breakouts lately that I can’t seem to combat. What are your favorite acne products? 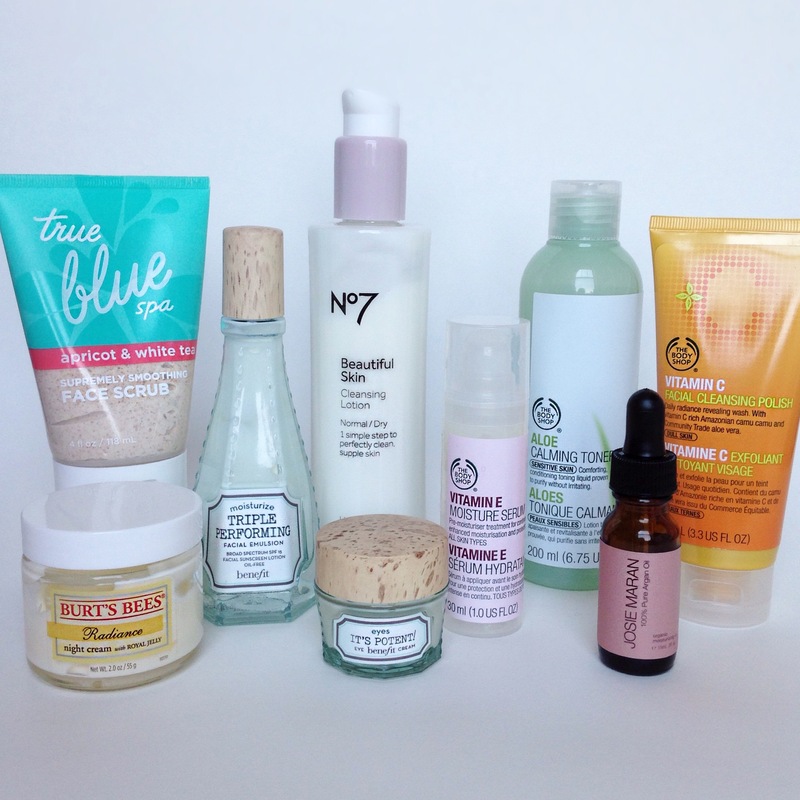 Spot treatments, masks, cleansers…lay it on me! Thank you! It’s really wonderful! What’s your favorite product? The Body Shops Tea Tree Oil is pretty good as a spot treatment! I recently started using Formula 10.0.6 best face forward and I really like it. It has tea tree oil in which is nice because it helps to dry out zits which causes them to appear smaller and clear faster. Plus the $5.99 price tag doesn’t hurt! Thank you for the help! I’ll add those products to the list!